Storyboards are always a great way to start the creative process when planning a fashion or hair photo shoot, and talk about a salon team building experience! Recently, at Keter Salon, where I am coordinating their 2nd photo shoot, everybody presented their boards, and spoke of what is inspiring them. When the last person finished, there were nine boards. Beautiful! Posted on March 15, 2012 by Rebecca Beardsley and filed under Creativity, inspiration, Salon Team Buidling and tagged storyboards. After a year of letting my natural color show, I decided to color my hair. 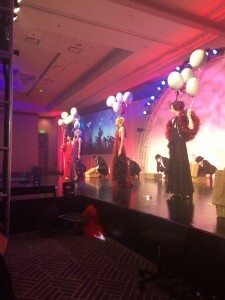 Mostly, themetamorphosis came about because of the count down to NAHA. We used powder lightener with 20 vol, and level 4 Luo color with 25Vol as a base, then toned with P01-P02, creating a bit more drama. I thought, "Hm, I am going to be surrounded with my peers, and the idea of showing some creativity on my own head felt right. The extreme is always so invigorating. I tell myself, "Just as long as you work that out on your head, rather than in your life." Sometimes I look at myself, and think it looks great. Or, "too dark against your aging skin." I'll say. Does it look to severe? My clients remarked, "You look less tired," as if my own questions lined my forehead. Overall, I feel it is a nice change. Color feels like a fresh start. And this new be- ginning seems to be popping up in a lot of areas of my life, like the green of Spring emerging from the tilled soil. And now, the maintenance begins. I already feel like I need a toner. However, the expectations of women are at an all time high. More on that later. Posted on July 23, 2009 by Rebecca Beardsley and filed under beauty industry, Creativity, haircolor and tagged Spring 2009. Okay, I'm breaking the mini-chronological order I had going. I just found some photos, from November of last year. 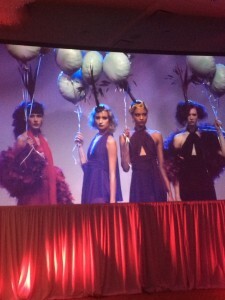 A few of us from Keter Salon went down to LA for Sassoon's 2009 Fall Collection Release. Very Inspirational to say the least. Posted on July 10, 2009 by Rebecca Beardsley and filed under Creativity, hair, haircolor, hairstylist, inspiration and tagged Sassoon's. In order to celebrate the election of President Barack Obama, we thought what better waythan to express it through nonconformity in a fashion show. Girl Talk Band set the tone for the evening, and gave generously by playing melodic blues, latin, world jazz. We were quite fortunate to have Angie Coiro MC our show, also giving her time for the cause. She added flare, fun, humor and a feeling of generosity. Denise Pate of Destiny Arts gave a brief introduction to the great work the organization offers in the Oakland schools. To find out more about the great work Destiny Arts offers, check out www.destinyarts.org. Our sixteen models represented our coummunity; women of all ages, backgrounds, and body type. The show felt global as the first models walked to the chant from the Nicherin Daishonin Buddhism out of Japan, wearing masks that we had made, shedding them as they left the room. They then sashayed to Gypsy Jazz. What I enjoyed most about this event was the gathering of creative people. 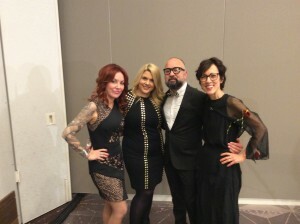 In the salon that day, there was a feeling of excitement and love of our craft, not to mention pure creativity as the stylsits, and owner of Keter Salon came together to contribute to something larger than the everyday at the salon. Our stepping out to the community was met with the community coming to us...130 people filled the space, standing room only. At the end of the day, we raised some money, Giselle Shepatin gave generously as well. She sold clothing before and after the event, and donated a percentage of her sales to the cause. She also offered beautiful, handmade scarves as gifts for the raffle. Posted on July 3, 2009 by Rebecca Beardsley and filed under Beauty, Creativity, hair, inspiration and tagged hair. I think of all the thousands of heads of hair I have cut in my career, and all the hair left behind, and the clients who, walk out the door with a bit more bounce in their step. I think of all the things I could do with the millions of strands that fall to the ground. I imagine how heavy that pile would it have accumulated into one massive hair ball, or creating walls, tunnels, out the door and onto the street. I could stand the piles up, side by side, the difference in textures, and colors would be as disparaging as the clients who have sat in my chair. Some piles would be 1/2 inch by 1'', some would me 5" deep, depending on the client. If I could flatten out the piles, I could make squares, like a quilt, connecting their lives. I could create a time line with the squares from when I began, til' now, building a path laid out into infinity. If I could stack the flattened squares, I would stand on top and feel how tall these clients have helped to make me feel. If that quilt of hair could float, it would surely buoy me a long ways out on a turbulent ocean, and keep me safe. If these piles could tell the stories of the clients that leave the salon, carrying on in their day, and into their lives, as a new person, in their new look, it would be a very interesting story. If I could jumble the pile up, mixing, tossing, like a summer vegetable salad, I would have a very colorful, unique, wondrous, and very deep mix of personalities, experiences and preferences. Posted on July 24, 2008 by Rebecca Beardsley and filed under Beauty, Creativity, hair, hairstylist, inspiration and tagged haircuts. "So, what do you love about your hair? What don't you like about it? And when did you last get your haircut?" I asked to begin the consultation with Leslie, a new client. Through Squaw Valley Writer's Conference in "07, I met a group of women writer's from the Bay Area. Some of us have remained in contact, some have read at the readings I've held at the salon, and a few have even become clients. One of the writer's that I had become a client, referred her friend Leslie. Her curly hair was lovely, and way over due for a cut. The longest layer on top reached to about her chin, sagging her beautiful face down "I'm one of those annoying clients, who wants to keep some length, but feel it's too heavy up here," she replied, pulling at her hair on top. "I just got it cut six weeks ago. That isn't very long is it?" "No, it isn't, not for curly hair." "I feel like always leave with the same haircut." "What attitude do you want your hair to have?" "Ooh, that is a good question. I've never been asked that. Hmm. Well, what do you think I have?" "Yeah, I feel like I look like a hippie, but without the hippie." "Do you want to move into something a little more edgy?" "Edgy means to me a stronger shape." "Okay well, let me get my hands in here. I think if you brought the length up to shoulder length, then took this hair away from your face a bit, slightly off center, then layered out this top, we'd be getting somewhere. I want to round out it out, so that you don't have a pyramid shape, and I'll do some dry cutting." "Sounds, good. Yeah, I've had the $30,000 pyramid quite often." "Well, you come up with all kinds of names when you've had this kind of hair for a long time." She removed her glasses, which was as slight discomfort, because she could not say anything. And so we cut, and cut and cut. I asked at one point I asked if she would like to put the glasses back on. No, she said, she was enjoying not seeing. Then product instruction, then I twisted the hair and diffused. Her hair looked fabulous. Bouncy, full, sassy. I unwrapped her, she reached for her glasses, and as we spun the chair around, she exclaimed, "Oh wow. I love it." She remained in the chair a bit, wanting to take in her image a bit. We laughed about her looking for reflective surfaces to gaze in, on her way home. We agreed it was a transformation. Posted on July 13, 2008 by Rebecca Beardsley and filed under Beauty, Creativity, Curly Hair, friends, inspiration, new clients, Salon Life and tagged writers. What part of colouring hair is intuitive, and what is years of practice? As I worked with a new assistant yesterday, she said she used to work with Logics haircolor, and where she worked before, they couldn't look at a color chart. They learned by knowing the boxes of color, the color level and tone. As we talked, I realized I trained myself in haircolor, and that has it's pluses and minuses, right? Knowing levels and tones of haircolor without a chart is a definite must, because it is about training the eye to see color. Some stylists have this gift, this natural ability. Since I did train myself, and with practice, it is intuitive, and knowing what level and tone is second nature. And, I still refer to a chart to get a visual strongly placed in my head, and it happens within minutes. We are playing with Dia haircolor now. I like it. The range of tones, flexibility, and shine is wonderful. The other day, I saw a new client for a weave and haircut. I liked her, she seemed to respond to my ideas, and our communication felt on track and we articulated a plan. She had a natural level 5, and she was heavily highlighted. We decided to not go that light. So I highlighted her hair with slices of Blondor and 9%. Then I went back through with a thin slice of light brown, with a bit of copper, and a bit of gold. I like that you can add a squirt of this and a squirt of that. I thought, after I shook the formula in the jar that maybe I needed to add more gold or natural to the formula, but I didn't. but I did at a toner for the blonde of Richesse 9.3, which undid the shine, I am sure. Next time, I would see what the Dia equivalent would be. The color was beautiful, definite coppery lowlights, but not brassy. The overall look had a zing to it. I loved it, and she was happy. The finesse of color formulating is to see what the gut says, and listen, or to follow through with what you worked up, and take a risk. To me being a great colorist is not perfect formulation, but knowing how to get back when you've gone too far. Some of it is intuition and some of it is practice. Posted on July 10, 2008 by Rebecca Beardsley and filed under Creativity, haircolor, hairstylist, inspiration, Salon Life and tagged taking chances. Over a bottle of Chardonnay and a seafood platter at the Martini Oyster Bar in Sonoma, three of us couples talked about everything. We laughed so much my cheeks hurt, and my eyes watered. One couple are a husband and wife team that are clients of mine. I commented on the fact that Joanie is a dream client. She is a client of Julie Schindler's as well, she knew exactly what I meant. Julie is a wonderful fashion designer and designs most of what Joanie wears. They have known each other for a long time now. And what we love about Joanie is her ability to trust in, and pull forth the best work of those who provide a service for her. She loves to turn it over. When I pull of the cutting cape and she goes to the dressing room to change, I wait to see the finished look. She walks out looking stunning every time. Why? Because she dresses, and her hair always looks good. There are people whom I have never seen dressed in their best, and yet they may wear great hair. But then, some dress well, but never make changes with their hair. We all agreed that the hair can undo it all, the hair is the crown and glory. It must come down to fear. Fear of looking good, fear of not looking good, fear of change, fear of attention. I know women who can spend thousands of dollars on a wardrobe, per season, who refuse to dress when they come into the salon. They wear sweat pants, and Ughs. But not Joanie! She is confident in who she is, she doesn't need approval from anybody... but she receives more postive feedback where ever she goes. When she walks into a room, people look, because everything is congruent. Every designer I know works very hard, and deals with quite a bit of stress, every designer needs to find what they love in what they do, and not waste time doing all the other stuff. Julie loves designing for Joanie because she is appreciated, and Joanie wears her clothes with ease. Julie's designs are fabulous! Classic with a twist; beautiful fabrics, lined slacks, interesting shapes, detailed finishing. Julie has class, and provides quality fashion, for a modest price. She unfortunately doesn't have a website yet. The success of her business manifested through word of mouth. I wished I would have brought my camera with me. Posted on June 29, 2008 by Rebecca Beardsley and filed under Beauty, Creativity, fashion, Inner Beauty, Inner Strength, inspiration, self-expression and tagged Sonoma County. I stand in the very three foot area that my favorite hairstylist has performed her craft for years. It's as if I stand in her own personal museum. Not because there are artifacts of hers hanging around me, or relics of her hair do's that line the wall behind me. I feel as though her energy surrounds me, encourages me, reminds me of the creativity that abounds. I just need to tap in to the resevoir that has lived here long before I have arrived. And, I believe she will haunt us to be kind to each other, to draw upon each others strengths, and let the small stuff fade away. It will be interesting to see how the energy shifts however, how the group of stylists reconfigure around her not being there, and being with what is. Who and what will fill the space. She doesn't leave town till next week. So, we will go have breakfast at one of my favorite places, La Note in Berkeley, and then go to SFMOMA to visit the Freida Kahlo exhibit. Two weeks ago we visited the Annie Leibowitz exhibit at the Veteran's Memorial. I was so impressed with the vulnerability I experienced in viewing her work. My only regret is that we didn't explore our relationship outside of the salon before this. I will cherish every moment as we take in the art, talk and share time with one another. Meanwhile, back at the ranch, I'm busying myself not only with writing one of the most challenging stories of the book project so far, but I'm preparing for another editorial shoot on Sunday. I called Savanna yesterday in search of size 10 heels. Dee Conway the photographer and I will work together, which I'm really looking forward to. She has a creative eye, plus she is funny as can be. We have a great model from Rabaat shoe store, Rachael, who once modeled in Europe for a period of time. We've come up with the concept for hair. I sped around town yesterday, looking for jewelry, leggings, and shoes. I didn't find shoes. Kind of critical. I can spend 100. on a pair, but do I want to for the shoot. I don't want to fall short of a fabulous shot, just because of the shoes, they are pretty important. We are going for romantic and feminine, perhaps a bit of a period feel to it. A museum of Savanna's haircuts? Not a bad idea. She gave me this latest. Posted on June 20, 2008 by Rebecca Beardsley and filed under Beauty, Creativity, Editorial, fashion, Hairstyling, hairstylist, inspiration and tagged salon staff. No sequay from politics, to beauty, and now an eight-year-old desire of a guest at the salon(but not a client), to be a paleontologist. A client came in the other day with her grandson, Ryan. I pulled up the leopard print chair for him to sit on, while we consulted about her hair. After the shampoo, we all settled into our little real estate around my station. Ryan had blonde straight hair, the kind of blonde that women pay top dollar for, the perfect honey color with lots of shine. He wore large round eyeglasses, and rather simple attire. Except for the hoodie his grandmother, my client, had just purchased for him. Little crocodiles patterned all over this hoodie, their eyes peering out at me. As he began to speak, his high IQ, and obvious language skills perked my ears. The cutting was going well, when a creative burst came through me, and I asked if I could interview her grandson. They both thought this would be grand. As I cut a layered, oval shape on my client, her grandson watching while he spoke his thoughts on creativity. Posted on June 17, 2008 by Rebecca Beardsley and filed under Creativity, Family, hairstylist, self-expression and tagged new client. Yes, it was another informative, fun, and lively event with Jennifer Butler. You've got to listen to some of the audio to get a sense of how she works. She is a wizardess and a priestess, helping women to know themselves better. She gives them complete permission to play, and have fun with clothing. Here are some photos from the event held at the Mill Valley Holiday Inn, last Saturday evening. There had to be fifty people there to hear Jennifer, who never seems to tire. She pours out love and acceptance, and yet, when she needs to, a shaking of the head, with a twinkle in her eye, seemingly to say, "It won't work...do you know why?" Then to see people give away clothes they've had in their closet, and don't wear, is quite a generous event. To see people being willing to give up their coveted item on someone for whom it works for, is a complete joy. The people who have their colors done are looking hot, and like themselves, the way you expect them to look. Everything is lined up and congruent. Your eye does not roam, looking to understand what is not working. Wonderful evening Jennifer! Thank you. Posted on June 12, 2008 by Rebecca Beardsley and filed under Beauty, Creativity, Femininity, hairstylist, Inner Beauty, self-expression and tagged photos.